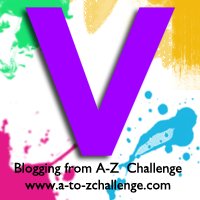 For the letter ‘V’ I have chosen the colour Violet. Violet is a bright, vivid shade similar to purple that takes its name from the violet flower. Unlike purple, violet is a true colour because it has its own wavelength on the spectrum of visible light, while purple is only a composite colour (made from mixing red and blue). Keep reading to discover the symbolism behind this colour and read a character spotlight. Like most shades of purple, violet is associated with luxury, royalty, creativity and extravagance. Violet is linked to the Crown Chakra in Hinduism and Buddhism and in Chinese painting it represents harmony because it is a balance of red and blue (yin and yang). Plants and flowers: Viola, beautyberries (callicarpa), lilac flowers, heliotrope, lavender, hydrangeas, Gladiolus ‘Gates of Paradise’, Purple Allium, Geranium pratense, delphiniums, fuchsia, iris, pansies. Charlie and the Chocolate Factory by Roald Dahl is one of my most-loved children’s books and the 1971 film adaptation Willy Wonka & the Chocolate Factory remains one of my favourite films of all time. So I couldn’t not mention the character Violet Beauregarde in today’s post. She’s a particularly memorable character because she’s very rude, over-competitive and annoying, and is constantly chewing gum. The name Violet is fitting for her, as apparently its the colour that people most associate with extravagance and vanity. Thankfully, she gets her comeuppance for being such a horrible little brat, as after eating a piece of gum without asking, she ends up blowing up like a giant blueberry. Sweet. What do you think of the colour violet? Which film version of Charlie and the Chocolate Factory do you prefer? The original version was very dark – I think I prefer it to the Johnny Depp version, although I really love Johnny Depp (so it kinda hurts to say that). I like both movies, but I like the Johnny Depp movie slightly better.